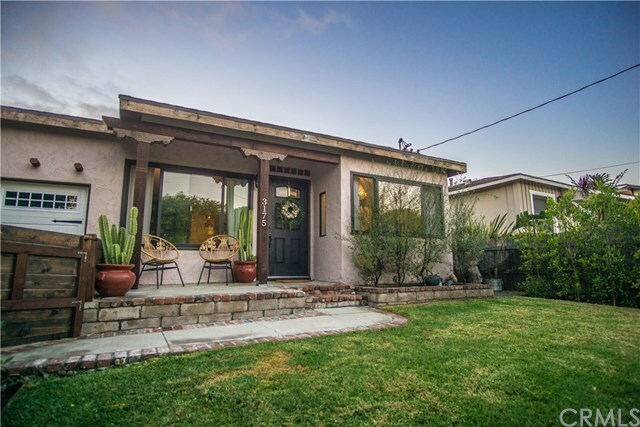 Beautifully remodeled home in the highly sought coastal region of the Palisades of San Pedro! Perfect for every family size. Amazing 2 level back yard with deck and built in seating! Built in BBQ, fire pit, AND new play area! New windows throughout, New sliding glass door and garage door, upgraded interior doors and fixtures throughout, New custom-designed closet in one bedroom, recently re-sanded and sealed kitchen counter tops, New porch, Newly installed top-of-the line Lennox central heat and cooling system with Nest thermostat, New sprinkler system in front yard and ficus trees to create a green wall. Fully renovated bathroom that includes shower copper plumbing, recent interior and exterior paint.